2018 Chevrolet Silverado 1500 LT LT1 Crew Cab 4X4, BLUETOOTH, BACKUP CAMERA, POWER WINDOWS & LOCKS, MP3, CD PLAYER, SATELLITE RADIO, PREMIUM SOUND, WELL MAINTAINED W/ DETAILED SERVICE RECORDS, ONE OWNER CLEAN CARFAX, INSPECTED BY FORD CERTIFIED TECHNICIANS, AUTOMATIC, TRACTION CONTROL, A/C, TINTED GLASS, REMOTE KEYLESS ENTRY, CRUISE CONTROL, & MORE!, CALL OUR SALES MANAGERS TODAY FOR MORE INFORMATION @ (920) 885-3500, ABS brakes, Compass, Electronic Stability Control, Emergency communication system, Heated door mirrors, Illuminated entry, Low tire pressure warning, Remote Keyless Entry, Remote keyless entry, Single Slot CD/MP3 Player, Traction control. Clean CARFAX. CARFAX One-Owner.CALL OUR SALES MANAGERS TODAY FOR MORE INFORMATION @ (920) 885-3500. Come out and see our brand new showroom. We aggressively price ALL our vehicles to be the most competitive prices anywhere!!!! Stop in and take a look for yourself. Our friendly staff will always make you feel welcome. Your complete satisfaction is our only goal!!!!! Proudly serving Beaver Dam, Fond Du Lac, Columbus, and surrounding communities!! ONLY 51K MILES! 2015 Chevrolet Equinox LT 2LT, AWD, BLUETOOTH, BACKUP CAMERA, ONSTAR, HEATED SEATS, POWER SEAT, POWER WINDOWS & LOCKS, MP3, CD PLAYER, SATELLITE RADIO, PREMIUM SOUND, LOCAL TRADE, WELL MAINTAINED W/ DETAILED SERVICE RECORDS, CLEAN CARFAX, INSPECTED BY ASE CERTIFIED TECHNICIANS, AUTOMATIC, TRACTION CONTROL, A/C, ALLOY WHEELS, REAR SPOILER, TINTED GLASS, REMOTE KEYLESS ENTRY, CRUISE CONTROL, & MORE!, CALL OUR SALES MANAGERS TODAY FOR MORE INFORMATION @ (920) 885-3500. Clean CARFAX.Awards:* JD Power Initial Quality Study * 2015 IIHS Top Safety PickCALL OUR SALES MANAGERS TODAY FOR MORE INFORMATION @ (920) 885-3500. Come out and see our brand new showroom. We aggressively price ALL our vehicles to be the most competitive prices anywhere!!!! Stop in and take a look for yourself. Our friendly staff will always make you feel welcome. Your complete satisfaction is our only goal!!!!! Proudly serving Beaver Dam, Fond Du Lac, Columbus, and surrounding communities!! 2014 SILVERADO 1500 LT LT1 CREWCAB 4X4, BLUETOOTH, ONSTAR, POWER WINDOWS & LOCKS, POWER SLIDING REAR WINDOW, MP3, CD PLAYER, SATELLITE RADIO, PREMIUM SOUND, LOCAL TRADE, WELL MAINTAINED W/ DETAILED SERVICE RECORDS, ONE OWNER CLEAN CARFAX, INSPECTED BY ASE CERTIFIED TECHNICIANS, AUTOMATIC, MATCHING FIBERGLASS TOPPER, TRACTION CONTROL, A/C, ALLOY WHEELS, RUNNING BOARDS, TINTED GLASS, REMOTE KEYLESS ENTRY, CRUISE CONTROL, & MORE!, CALL OUR SALES MANAGERS TODAY FOR MORE INFORMATION @ (920) 885-3500,Awards:* NACTOY North American Truck of the Year * 2014 KBB.com Brand Image AwardsCALL OUR SALES MANAGERS TODAY FOR MORE INFORMATION @ (920) 885-3500. Come out and see our brand new showroom. We aggressively price ALL our vehicles to be the most competitive prices anywhere!!!! Stop in and take a look for yourself. Our friendly staff will always make you feel welcome. Your complete satisfaction is our only goal!!!!! Proudly serving Beaver Dam, Fond Du Lac, Columbus, and surrounding communities!! PREMIER PACKAGE, GM Certified, ALL WHEEL DRIVE, HEATED LEATHER SEATS, PREMIUM SOUND SYSTEM, BLUETOOTH, SATELLITE RADIO, REAR-VIEW CAMERA, POWER WINDOWS & LOCKS, POWER DRIVER SEAT WITH MEMORY SETTINGS, POWER LIFT GATE, ALLOY WHEELS, LOCAL TRADE IN. Clean CARFAX.Hey check it out...GM CERTIFIED...it gets you an additional year or 12000 miles over the existing bumper to bumper warranty, two FREE oil changes over two years, a 172 point tech inspection, and 6 years or 100000 miles of powertrain coverage!!! 2005 TAHOE LS 4WD, POWER WINDOWS & LOCKS, PREMIUM SOUND, NON-SMOKER, INSPECTED BY CHRYSLER CERTIFIED TECHNICIANS, AUTOMATIC, A/C, REMOTE KEYLESS ENTRY, CRUISE CONTROL, & MORE!, CALL OUR SALES MANAGERS TODAY FOR MORE INFORMATION @ 715-341-4400.We know everybody's reasons for change are different; first car, a growing family, a promotion, looking for something new....whatever your reason, we can help. We offer a huge selection of vehicles at an excellent price. All of our vehicles have been through rigorous safety inspections performed by our Factory Trained Technicians for your peace of mind. Contact our Internet Manager Meghan Menadue at (715) 341-4400 or contact him at our website www.stevenspointchrysler.com and set an appointment for Internet Only pricing, free CarFax reports on any vehicle in our inventory or at another dealership, a free top dollar trade-in assessment, and get set-up for a friendly professional consultation with one of our Chrysler Certified Brand Specialists who can answer any questions you may have or ease any concerns to make your shopping experience as pleasurable and painless as possible. Bad Credit? No Credit? With access to over 30 lenders, we are your gateway to getting the best rates possible. Impala LT 1LT AUTOMATIC, PREMIUM SOUND SYSTEM, MP3 PLAYER, BLUETOOTH, SATELLITE RADIO, REAR-VIEW CAMERA, POWER WINDOWS & LOCKS, POWER DRIVER SEAT, ALLOY WHEELS. CARFAX One-Owner. Clean CARFAX. Only 88K Miles! 2013 Chevrolet Silverado 1500 LT 4X4, BLUETOOTH, POWER SEAT, POWER WINDOWS AND LOCKS, MP3, CD PLAYER, SATELLITE RADIO, PREMIUM SOUND, PAINT TO MATCH TOPPER, REMOTE START, LOCAL TRADE, NON-SMOKER, CLEAN CARFAX VEHICLE HISTORY REPORT, INSPECTED BY ASE CERTIFIED TECHNICIANS, AUTOMATIC, A/C, ALLOY WHEELS, TRACTION CONTROL, TOW PACKAGE, NEWER TIRES, TINTED GLASS, REMOTE KEYLESS ENTRY, CRUISE CONTROL, & MORE!, CALL OUR SALES MANAGERS TODAY FOR MORE INFORMATION AT 715-420-1555, AVAILABLE AT RHINELANDER CHRYSLER. Clean CARFAX.We are proudly serving Rhinelander, Eagle River, Tomahawk, Crandon, Antigo, Three Lakes, Lac Du Flambeau, Arbor Vitae, Minoqua, and many more! Contact us at 715-420-1555. Only 7k Miles! 2018 Chevrolet Colorado Z71 Crew Cab 4WD, BLUETOOTH, BACK UP CAMERA, ONSTAR, POWER SEAT, POWER WINDOWS AND LOCKS, MP3, SATELLITE RADIO, PREMIUM SOUND, LOCAL TRADE, WELL MAINTAINED W/DETAILED SERVICE RECORDS, ONE OWNER CLEAN CARFAX VEHICLE HISTORY REPORT, INSPECTED BY ASE CERTIFIED TECHNICIANS, AUTOMATIC, A/C, ALLOY WHEELS, TRACTION CONTROL, TINTED GLASS, REMOTE KEYLESS ENTRY, CRUISE CONTROL, & MORE!, CALL OUR SALES MANAGERS TODAY FOR MORE INFORMATION AT 715-420-1555.We are proudly serving Rhinelander, Eagle River, Tomahawk, Crandon, Antigo, Three Lakes, Lac Du Flambeau, Arbor Vitae, Minoqua, and many more! Contact us at 715-420-1555. Cruze LT Certified. HEATED FRONT SEATS, AUTOMATIC, PREMIUM SOUND SYSTEM, MP3 PLAYER, BLUETOOTH, SATELLITE RADIO, REAR-VIEW CAMERA, POWER WINDOWS & LOCKS, POWER DRIVER SEAT, ALLOY WHEELS, Convenience Package, Remote Vehicle Starter System. CARFAX One-Owner. Odometer is 3135 miles below market average!Hey check it out...GM CERTIFIED...it gets you an additional year or 12000 miles over the existing bumper to bumper warranty, two FREE oil changes over two years, a 172 point tech inspection, and 6 years or 100000 miles of powertrain coverage!!! Cruze LT Certified. 4D Hatchback, AUTOMATIC, PREMIUM SOUND SYSTEM, MP3 PLAYER, BLUETOOTH, SATELLITE RADIO, REAR-VIEW CAMERA, POWER WINDOWS & LOCKS, POWER DRIVER SEAT, ALLOY WHEELS. CARFAX One-Owner. Clean CARFAX. Odometer is 3830 miles below market average!Hey check it out...GM CERTIFIED...it gets you an additional year or 12000 miles over the existing bumper to bumper warranty, two FREE oil changes over two years, a 172 point tech inspection, and 6 years or 100000 miles of powertrain coverage!!! Recent Arrival! 2018 Chevrolet Equinox LT 1LT AWD, Bluetooth, Back Up Camera, ONSTAR, Power Seat, Power Windows & Locks, MP3, Satellite Radio, Premium Sound, Well Maintained w/Detailed Service Records, One Owner Clean Carfax Report, Inspected By ASE Certified Technicians, Automatic, A/C, Alloy Wheels, Traction Control, Rear Spoiler, Remainder Of Factory Warranty, Tinted Glass, Remote Keyless Entry, Cruise Control, & More!, Call Our Sales Managers Today For More Information at 715-420-1555.24/30 City/Highway MPGWe are proudly serving Rhinelander, Eagle River, Tomahawk, Crandon, Antigo, Three Lakes, Lac Du Flambeau, Arbor Vitae, Minoqua, and many more! Contact us at 715-420-1555. Impala Premier 2LZ NAVIGATION, HEATED LEATHER SEATS, AUTOMATIC, PREMIUM SOUND SYSTEM, MP3 PLAYER, BLUETOOTH, REAR VIEW CAMERA, POWER WINDOWS & LOCKS, PUSH BUTTON START, POWER DRIVER SEAT, ALLOY WHEELS, LOCTED AT FAIRWAY FORD< IN FREEPORT ILLINOIS, Navigation System, Preferred Equipment Group 2LZ. Clean CARFAX.We PRIDE ourselves on making your vehicle purchase FUN and STRESS FREE! 2007 Chevrolet Suburban 1500 LTZ Heated Seats, Power Seat, 3rd Row Seating, Power Windows & Locks, MP3, CD Player, Satellite Radio, Premium Sound, Local Trade, Well Maintained w/Detailed Service Records, Clean Carfax Vehicle History Report, Inspected By ASE Certified Technicians, Automatic, A/C, Alloy Wheels, Rear Spoiler, Traction Control, Tinted Glass, Remote Keyless Entry, Cruise Control, & More!, Call Our Sales Managers Today For More Information @715-341-4400.Awards:* 2007 KBB.com 10 Best New Road Trip VehiclesWe know everybody's reasons for change are different; first car, a growing family, a promotion, looking for something new....whatever your reason, we can help. We offer a huge selection of vehicles at an excellent price. All of our vehicles have been through rigorous safety inspections performed by our Factory Trained Technicians for your peace of mind. Contact our Internet Manager Meghan Menadue at (715) 341-4400 or contact her at our website www.stevenspointchrysler.com and set an appointment for Internet Only pricing, free CarFax reports on any vehicle in our inventory or at another dealership, a free top dollar trade-in assessment, and get set-up for a friendly professional consultation with one of our Chrysler Certified Brand Specialists who can answer any questions you may have or ease any concerns to make your shopping experience as pleasurable and painless as possible. Bad Credit? No Credit? With access to over 30 lenders, we are your gateway to getting the best rates possible. 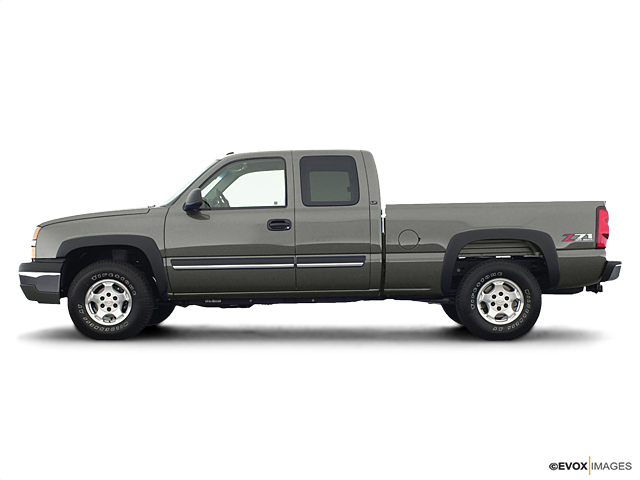 2000 Chevrolet Silverado 1500 LS Vortec 5.3L V8 SFI, 4-Speed Automatic, 4WD, Power Windows & Locks, Premium Sound, Local Trade, Well Maintained w/Detailed Service Records, Clean Carfax Vehicle History Report, Inspected By ASE Certified Technicians, Automatic, A/C, Alloy Wheels, Traction Control, Tinted Glass, Remote Keyless Entry, Cruise Control, & More!, Call Our Sales Managers Today For More Information @715-341-4400.We know everybody's reasons for change are different; first car, a growing family, a promotion, looking for something new....whatever your reason, we can help. We offer a huge selection of vehicles at an excellent price. All of our vehicles have been through rigorous safety inspections performed by our Factory Trained Technicians for your peace of mind. Contact our Internet Manager Meghan Menadue at (715) 341-4400 or contact her at our website www.stevenspointchrysler.com and set an appointment for Internet Only pricing, free CarFax reports on any vehicle in our inventory or at another dealership, a free top dollar trade-in assessment, and get set-up for a friendly professional consultation with one of our Chrysler Certified Brand Specialists who can answer any questions you may have or ease any concerns to make your shopping experience as pleasurable and painless as possible. Bad Credit? No Credit? With access to over 30 lenders, we are your gateway to getting the best rates possible.